“Love” by Daniel Angelus is the 20th song in The FIRST Alive with Clive Top 20. 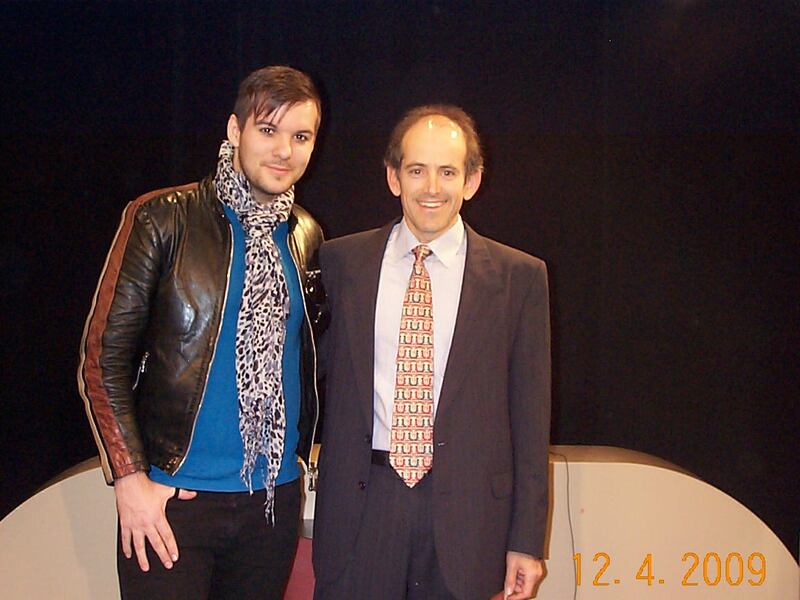 Daniel appeared on Alive with Clive on December 4, 2009. Daniel is a UK New Wave/New Romantic singer and musician. He has devised a sound and song content surrounding the tragedies and joys in his personal life and the lives of those around him. His songs carry lyrical power with fancy electronic melodies and epic high-pitched vocals. Until recently, he was a unique secret in British music. His biggest hit, “LOVE,” will be released on his 15 track debut full-length album, EMPIRE | GHOSTS, on January 1, 2011. “I wrote the song after a hard break-up with a girl that i loved with all of my heart, life and possessions. It was a few months after i got thinking about all the things that i could have done better. I guess at times i felt guilty about the moments when i was selfish, or the moments when my faults and insecurities got in the way of what mattered most – LOVE. “The chorus describes the situation it left a few people in my life in. And how LOVE can do bizarre things to us humans. Things like, trying to end your life because you feel that you don’t have one without LOVE. I grew up with a gentleman who tried to do just that. “That’s related in the chorus. “The song is a tribute to survival, forgiveness, and being humble as a human and accepting that maybe WE aren’t the victims as we always feel we are, but we are actually somewhat responsible for some of the events that take place in our lives. To kill your dreams and hopes? To see video clips of Daniel singing “Cold,” and the first part of “I Died For Love,” on Alive with Clive on The Alive with Clive TV Channel on YouTube, click here. For additional information about Daniel and to listen to more of his songs, go to www.danielangelus.com and www.myspace.com/danielangelus. Daniel is currently in 18th place in The Alive with Clive Top 20. To vote for Daniel to move into the top spot in The Alive with Clive Top 20, click here. This entry was posted in Alive with Clive Top 20 and tagged Africa, AIDS, Alive with Clive, Alive with Clive Top 20, Bowie, Clive Swersky, Cold, Daniel Angelus, Daniel Scarlett Angelus, David Bowie, electro rock, electronic melodies, Empire Ghosts, high-pitched vocals, HIV, HIV/AIDS, I Died For Love, love, New Romantic, New Wave, South Africa, The FIRST Alive with Clive Top 20, UK. Bookmark the permalink.